Card Text Play: Destroy each undamaged creature. Gain 3 chains. 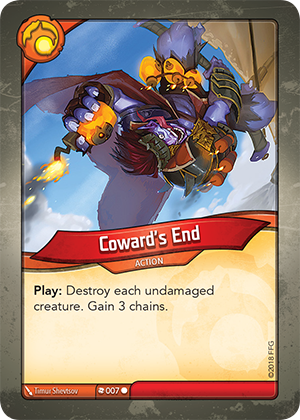 Does Coward’s End affect my own creatures too?